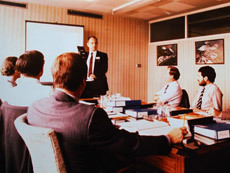 cementregister.com arranges training courses to suit the needs of managers, engineers, operators and technicians so that managerial and technical expertise can be transferred to the client’s managers and staff. Courses are tailored to a company’s particular need and can be split between classroom seminars and plant practical sessions. Courses can be of a few days duration for familiarisation of fundamentals or be of extended periods for more in-depth understanding and awareness. External training can be arranged to include specialised institutions or other cement and lime related activities.